This edgy artist,South African born singer-songwriter, plays with the light and dark sides of her struggle for truth and authenticity. Adolescence is a tricky maze! In a world that dictates how we are to be, dress, talk and live, too often we succumb to the pressure of the naysayers, the haters. Ashlinn Gray, however, is here to make her mark! As a charismatic and unapologetic artist, Gray explores the intersection of owning ones power and the vulnerability of taking risks. 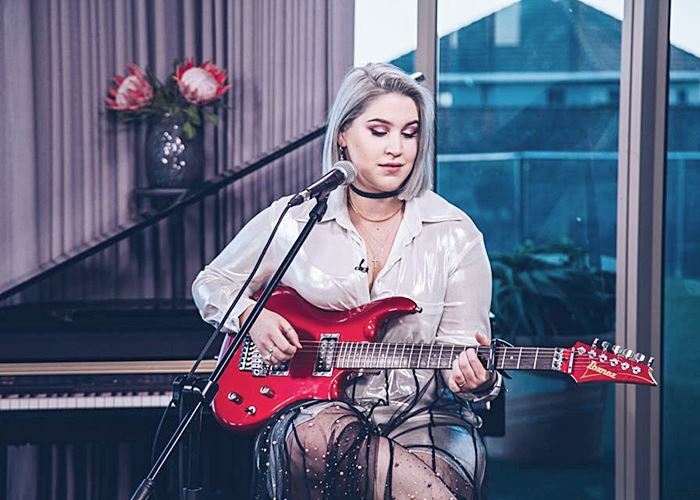 She graced the Expresso Studios and serenaded us with her unique sound! Here she is performing "Battleships"